The Tia&TillyCo. present these high quality bespoke drawer handles in Woodland Animal design. - The wooden knobs have brass threaded inserts and include 25 mm screw fittings, allowing them to be fitted to your furniture right away. Compact Size - Quick to install, suitable for limited space, such as: nursey, bedroom, closet, entryway, dorm, office, living room etc. 5 Drawer Storage Tower Cabinet MDF Fabric Cube Dresser Organizer Coffee. This is a fashion simple style storage organizer unit for daily use. It has 5 deep drawers, help to storage clothes, blanket, baby toys, books and kkep your room organized. Good product you should buy it NOW. 5 Drawer Storage Tower Cabinet MDF Fabric Cube Dresser Organizer Dark Grey. Easy to match room decoration. This is a fashion storage organizer unit for daily use. It has 5 deep drawers, help to storage clothes, blanket, baby toys, books and keep your room organized. 5-Drawer Storage Organizer Cabinet MDF Fabric Cube Dresser. This is a fashion simple style storage organizer unit for daily use. It has 5 deep drawers, help to storage clothes, blanket, baby toys, books and kkep your room organized. Chest of drawers Balu. 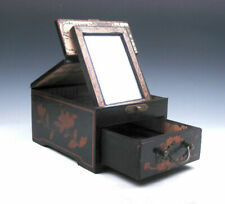 Our chest of drawersBALU consists of Sturdy mango wood and has been in high-qualityManual work produced. Oriental wood furniture. Oriental sofas. Oriental mirror. Material: mango wood and brass inlays. 5 Drawer Storage Tower Cabinet MDF Fabric Cube Dresser Organizer. This is a fashion storage organizer unit for daily use. It has 5 deep drawers, help to storage clothes, blanket, baby toys, books and keep your room organized. 5-Drawer Storage Organizer Cabinet MDF Fabric Cube Dresser. This is a fashion simple style storage organizer unit for daily use. It has 5 deep drawers, help to storage clothes, blanket, baby toys, books and keep your room organized. Who knows Voglauer, appreciate this quality. Marke Voglauer. SERIES ANNO 1700 old blue. It is in this chest of drawers a very exquisite piece of the highest quality. You no longer need to deal with the further search. This is a fashion simple style storage organizer unit for daily use. It has 5 deep drawers, help to storage clothes, blanket, baby toys, books and keep your room organized. Good product you should buy it NOW. Vertical 5 Drawer Storage Tower Cabinet MDF Fabric Cube Dresser Organizer Coffee. Easy to match room decoration. This is a fashion vertical storage organizer unit for daily use. It has 5 deep drawers, help to storage clothes, blanket, baby toys, books and keep your room organized. Vertical 5 Drawer Storage Tower Cabinet MDF Fabric Cube Dresser Organizer Coffee. This is a fashion vertical storage organizer unit for daily use. It has 5 deep drawers, help to storage clothes, blanket, baby toys, books and keep your room organized. 5 Drawer Storage Tower Cabinet MDF Fabric Cube Dresser Organizer Coffee. This is a fashion storage organizer unit for daily use. It has 5 deep drawers, help to storage clothes, blanket, baby toys, books and keep your room organized. Oriental Cabinet "Mach Sani". A sweetheart for original furnishings. Oriental pendant lights. Oriental lanterns. Oriental mirror. Oriental furniture. The deadline is respected, if you send the goods before the expiration of the period of one month. Ikea Holder For Dresser And Sheelf. Condition is New. Shipped with USPS Priority Mail. This is a very unique folk art piece which was obviously hand made. Asian cabinet teak chest of drawers Thaimöbel hochbeinig white 50x38x76cm. Product type: Commode / highboard. Material: Teak. Little shiny, green and red Sequins form beautiful flowers and enhance the surface in addition. Cabinet solid teak dresser elephant gold green 47x27x82cm Thai furniture. Product type: Commode / highboard. Material: Teak. Inside and on the back impresses the dresser with a black and red painting - just a great design. Chest of drawers Bastide stained wood. Robust small bedside table made of wood in different colours and with four drawers. The three drawers have popular retro - typeface. More about. The contract is concluded exclusively in German. Type: Dresser. Nothing is Set in Stone!